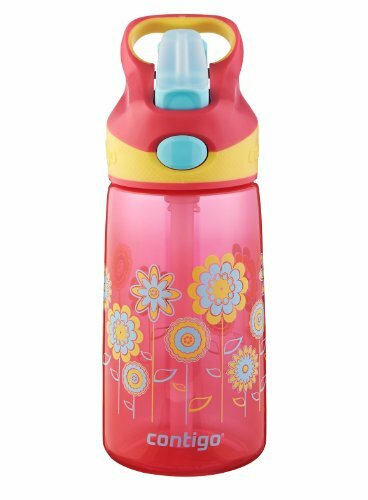 Despite the fact that I run a company that’s all about baby products, when push comes to shove, I’m a minimalist when it comes to gear. Even moreso when I travel: the idea of schlepping extra stuff to the airport, through the airport, onto a plane, and then around my destination makes me want to curl up in the fetal position and forgo my vacation entirely. So I keep it simple. An easy-to-fold umbrella stroller. While you can usually leave a stroller open on the Monorail or the Epcot Friendship boat, you’ll have to collapse your stroller to ride on any of the buses. (Yes, even if your family is the only one on the bus and your kid is asleep in said stroller.) My go-to is the UppaBaby Gluxe, which has a great recline that’ll also enable stroller naps. 2. A ride-on-board, if you have more than two kids. Lascal makes a universal Buggy Board (it even fits umbrella strollers!) that has an attachable seat, so your older kiddo can choose to sit or stand to ride along. 3. A catch-all bag, for the zillions of things you’ll accrue over the day. 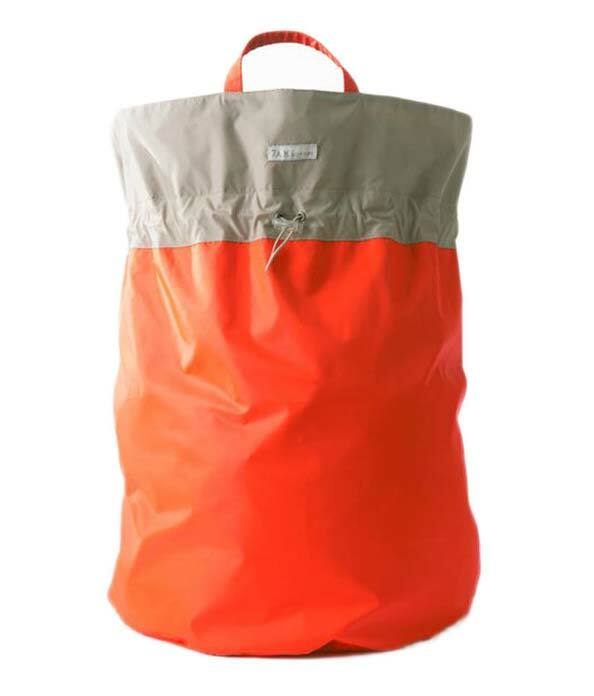 My go-to is the 7AM Enfant hamper bag, which zips down to the size of a paperback book but can expand to hold a family’s worth of sweatshirts, sunscreens, water bottles, and all the stuffed animals that your kids will beg you to buy over the course of the day. 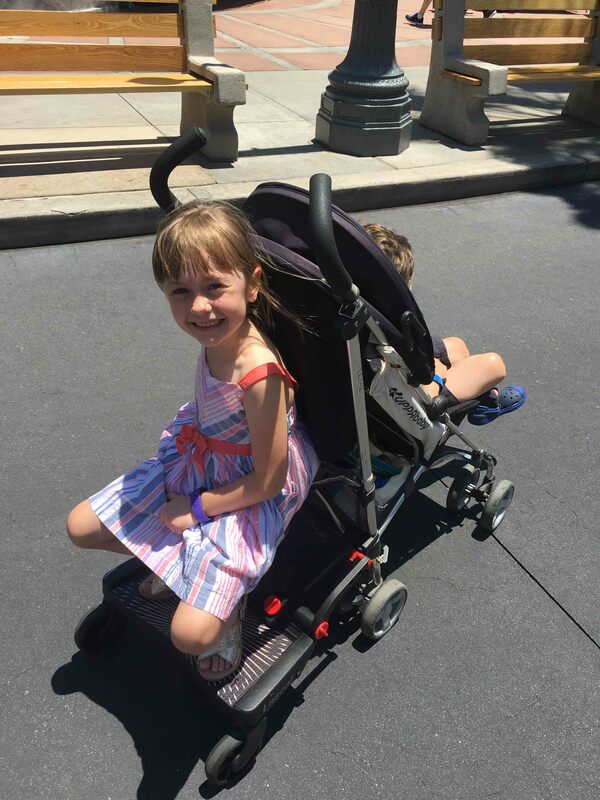 It has an over the shoulder strap but also attaches securely to a stroller with velcro straps. Pro tip: get a bright color; it’ll make it easier to find your stroller when you’ve parked it. 4. 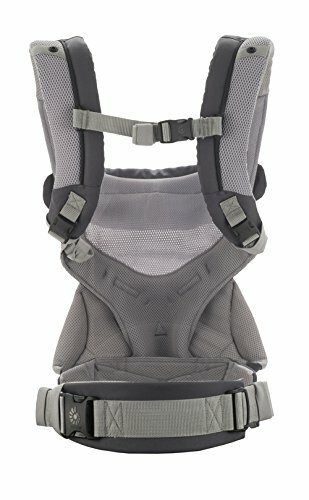 A lightweight baby carrier, like the Ergo 360 Air. 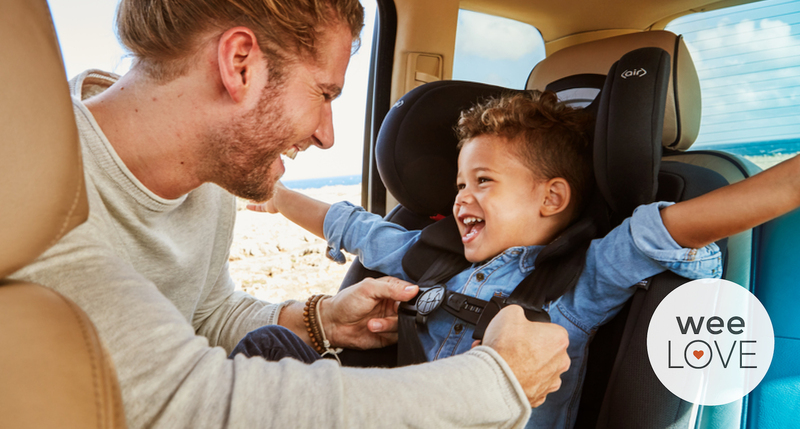 If you have a two-and-under, a baby carrier can make it easier to pop in and out of stores, on and off the mellower rides, and get around on Disney transportation. But newsflash: Florida is h-o-t in the middle of the day. Hot baby + hot parent + heavy baby carrier = misery for all. A breathable carrier will help you both from getting quite so sweaty. 5. A big diaper changing pad. Disney is pretty fantastic about keeping things clean, but those changing tables get a lot of use over the course of a day, and you never know how fastidious the other parents are. 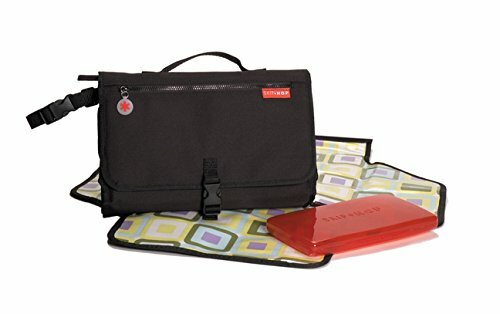 I love the Skip Hop Pronto diaper clutch, which you can stash in the bottom of your stroller. 6. Reusable snack bags, so you can pack your kiddos’ (healthier) faves. One of the many things I love about Disney is that they allow you to carry in your own food, and you can save a whole bunch of money by doing so. (Order groceries from a service like Garden Grocer and get all the staples delivered to your room.) 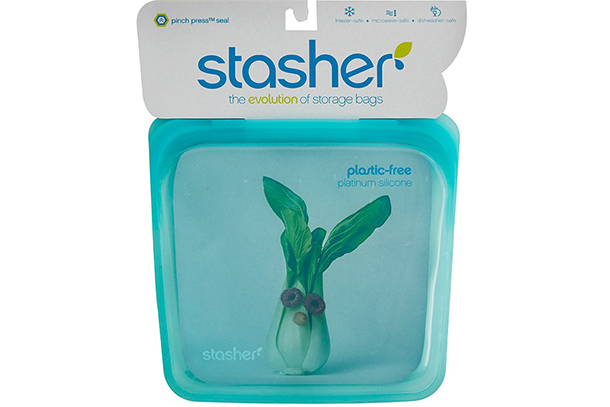 Stasher’s silicone snack bag is my favorite. 7. 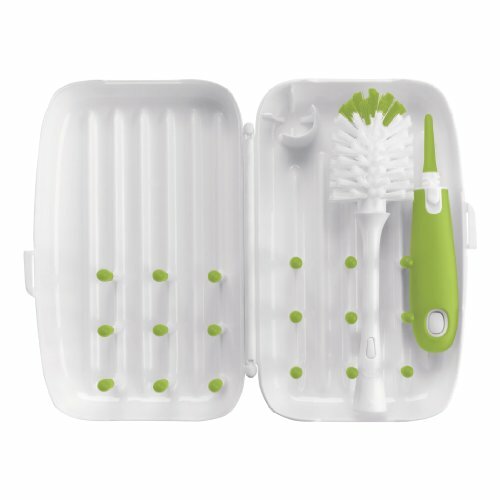 A compact bottle brush, like OXO’s travel brush, and a travel-sized dish liquid make it 100X easier to get bottles thoroughly cleaned. And for all the disposables (diapers, formula — whatever you need!) place an advance order from Amazon or Diapers.com. Be sure to include your name, arrival date, and confirmation number in the address field. 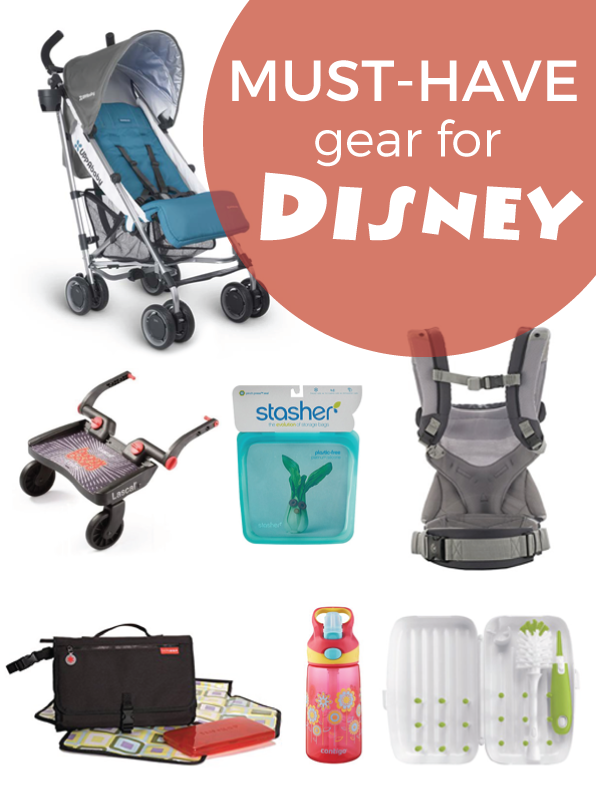 What are your must-haves for Disney? If I forgot something that you swear by, email us! 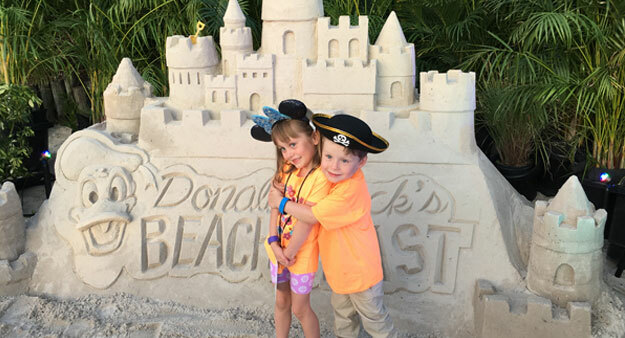 Editor’s Note: weeSpring participated in the 2016 Disney Social Media Moms Celebration, which included discounts on hotels and park admission. As always, though, any opinions expressed by our writers are our own. Yankee Doodle Dandies, who get carsick.